Duck, I would say is my favourite bird. Super tasty, super succulent and it cooks fast to. Reasonably priced, duck runs about $3.50 per breast. 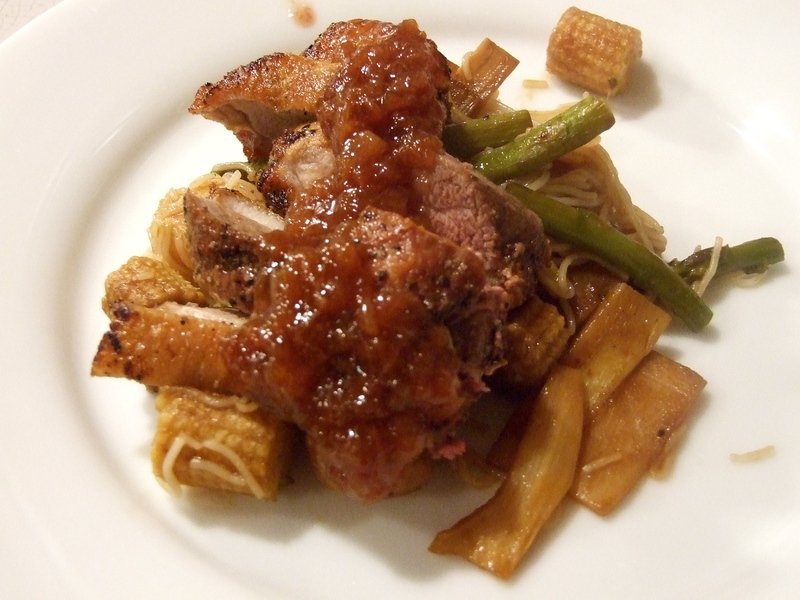 I served this with some stir fry asparagus, baby corn, bamboo shoot and water chestnuts on top of skinny noodles. 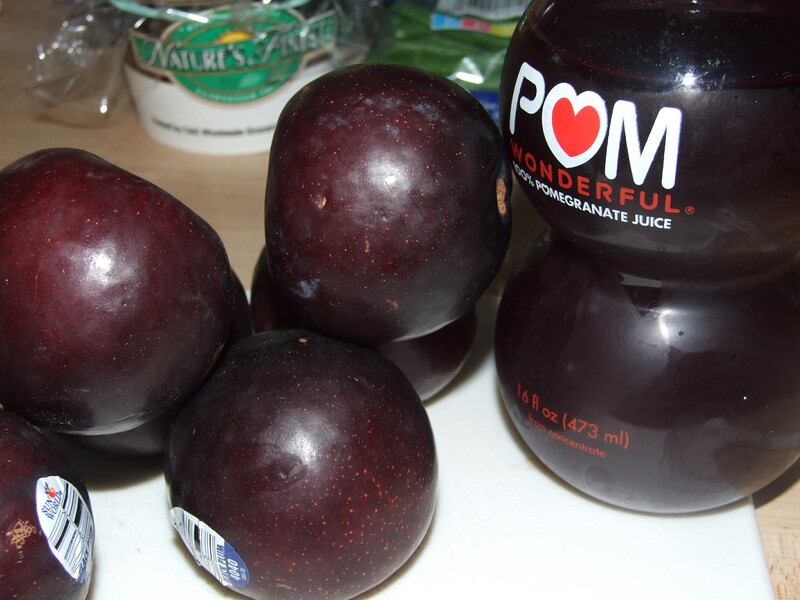 The plums take the most amount of time to cook. 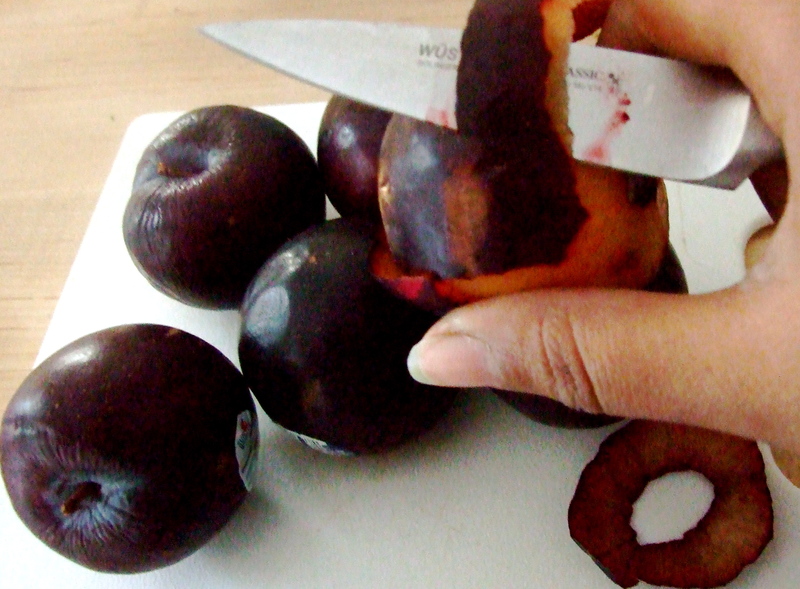 Roughly chop the plums to the same size and put into a saucepan. 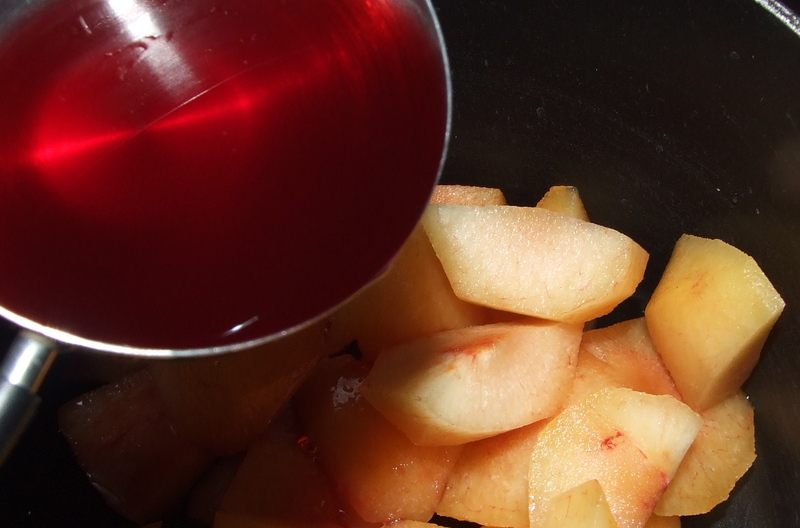 Add to that the pomegranate juice, Worcestershire sauce, oyster sauce and sugar. Simmer on a very low heat, covered for about 1½ hours. Occasionally stir. 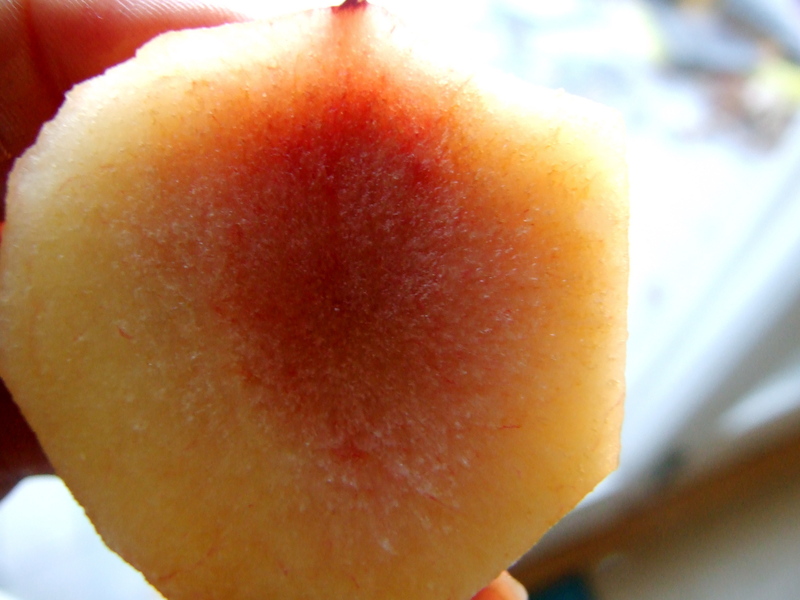 You want the plums to breakdown, this is the same process as making apple butter or apple sauce. 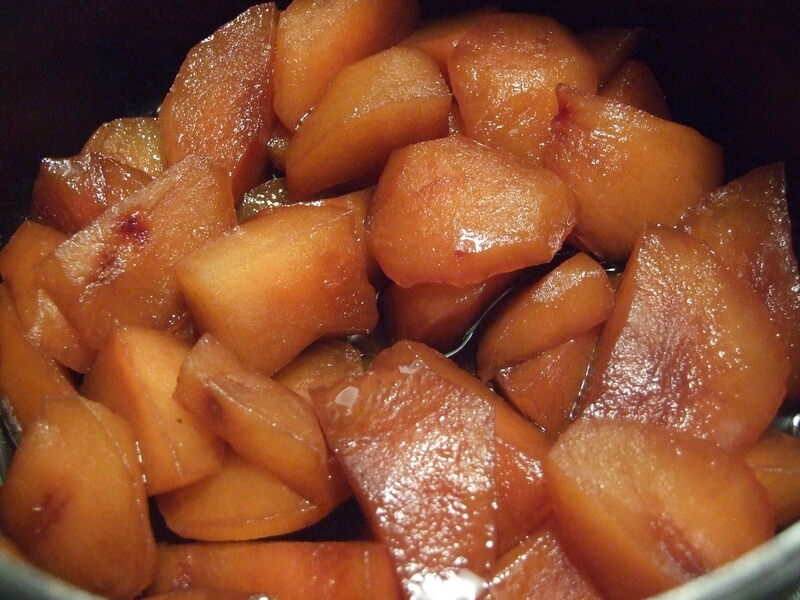 Once the plums have cooked down turn the heat to low just to keep it warm until everything else is ready. The duck will take about half an hour to cook. 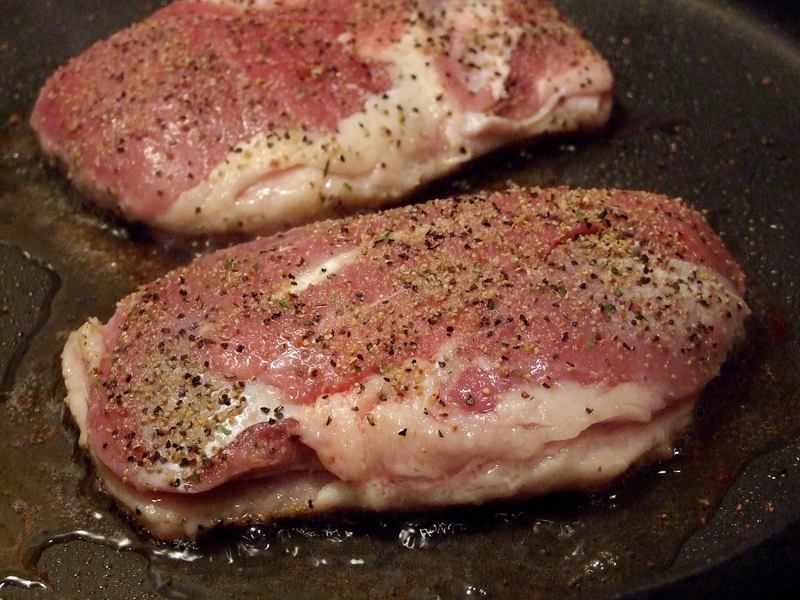 Heat a frying pan, DO NOT add any oil, the duck has enough fat. 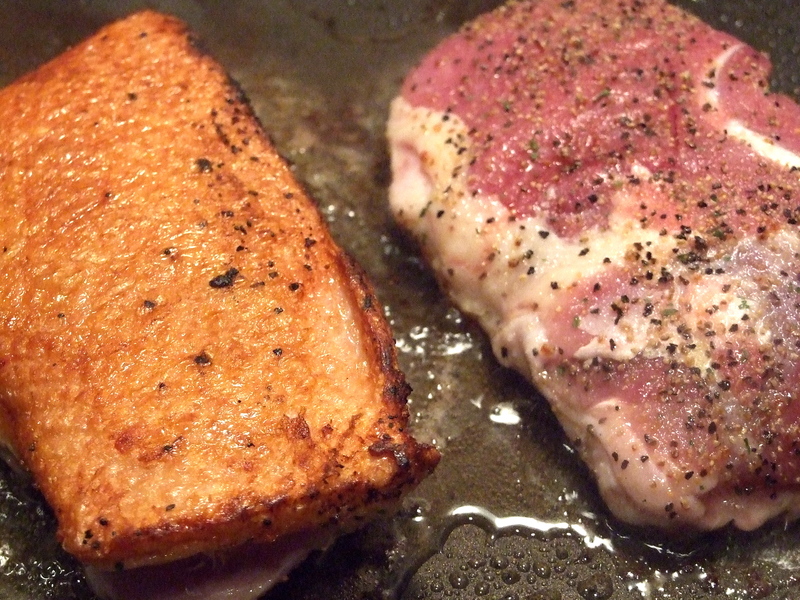 Put the duck skin side down and season the flesh, personally I like to use garlic pepper and garam masala. 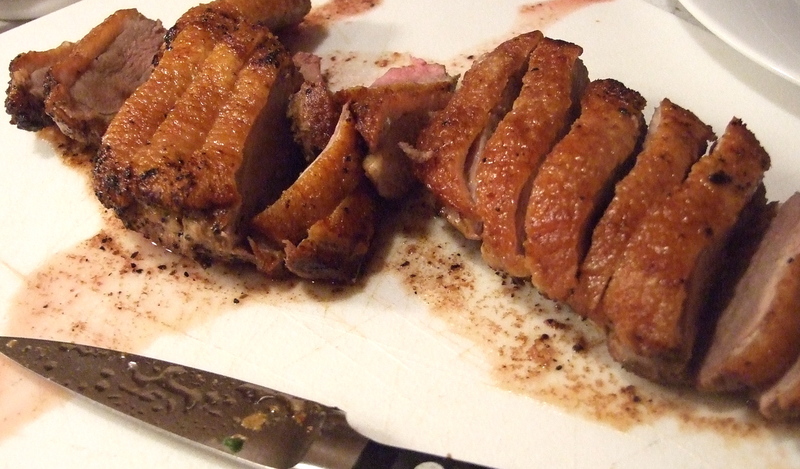 When the skin has a nice colour and the flesh underneath has cooked a little, turn the duck over. Drain the fat at this stage, Duck is meant to be served pink in the middle. When the flesh side is browned I transfer it into an ovenproof dish to cook it through a little and keep warm . 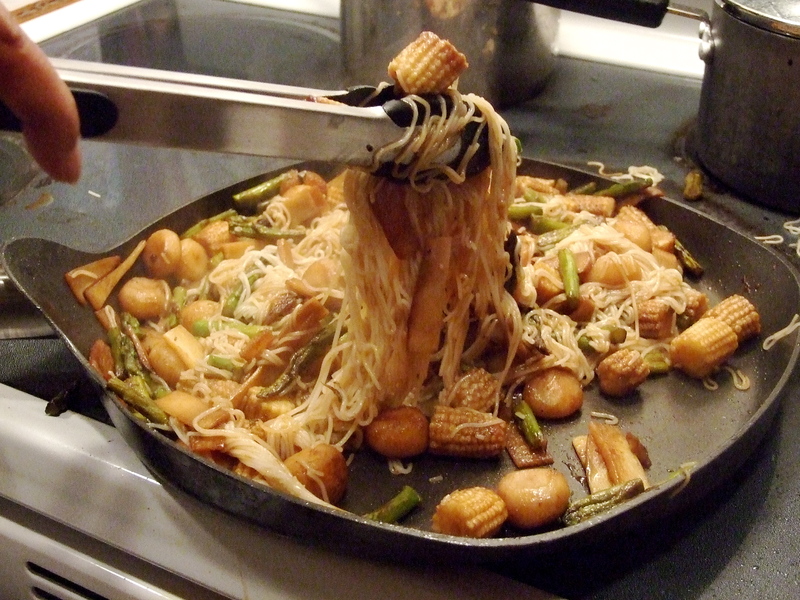 Boil the noodles and stir fry the vegetables, combine them in the pan. For a sauce I use a little of the sauces used to make the plum sauce. When everything is ready slice the breast. 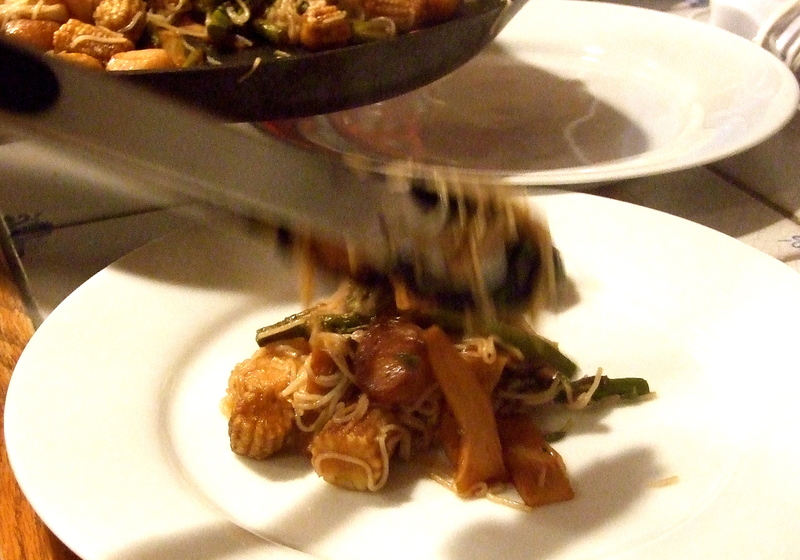 Plate up the noodles and vegetables. YUM! 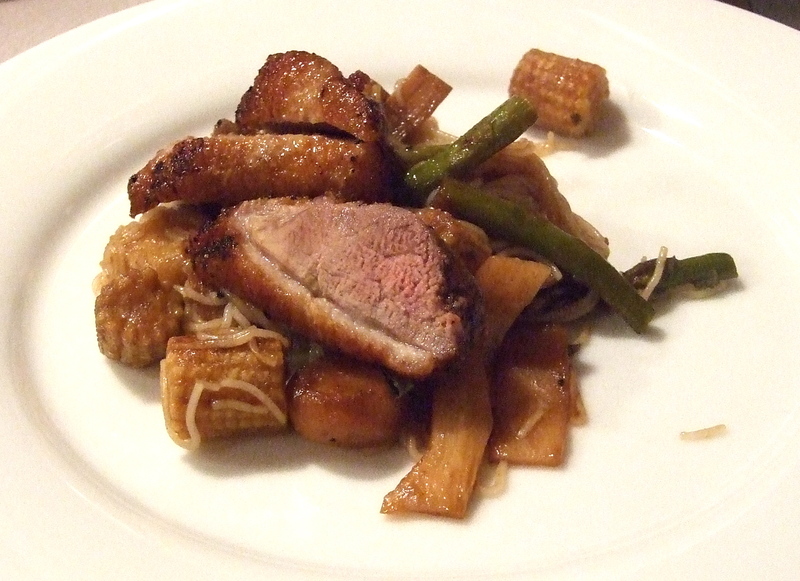 Duck is so delish!